Myotherapy is applied in the preventative, corrective and rehabilitative phases of therapy to restore and maintain the normal integrity of the soft tissue structures of the body (muscles, tendons, ligaments and fascia). Literally “muscular therapy”, Myotherapy is a multi-skilled physical therapy within the Allied Health Profession. All our therapists are nationally registered and qualified to assess and manage muscular injury and pain. The treatment provided by a Therapist can be complementary to that provided by other allied health practitioners (e.g Physiotherapist, Podiatrist or Osteopath) and may be used in conjunction with other forms of treatment. If you are presenting to our Myotherapy department with a new issue our staff are instructed to follow thorough clinical processes which include taking a brief medical history prior to commencing the hands-on component of your treatment. Alex completed her Advanced Diploma of Myotherapy at RMIT University in 2014. Alex has gained great experience from The Australian College Of Basketball, The National Institute of Circus Arts and The AFL International Cup. Work experience includes the Men’s Nike Futsal V-league with Futsal Oz, as well as the Futsal Oz’ Australian Futsal League Cup. 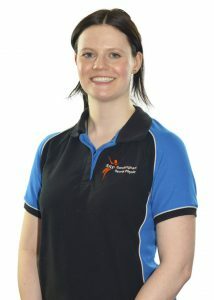 Alex has a keen interest for sport and understands the importance of recovery and getting back to doing what you love. For more information about Sandringham Sports Physio, Bayside’s leading physiotherapy & myotherapy clinic, get in touch with our staff on 03 9583 5248, or fill out our contact form or simply book online.